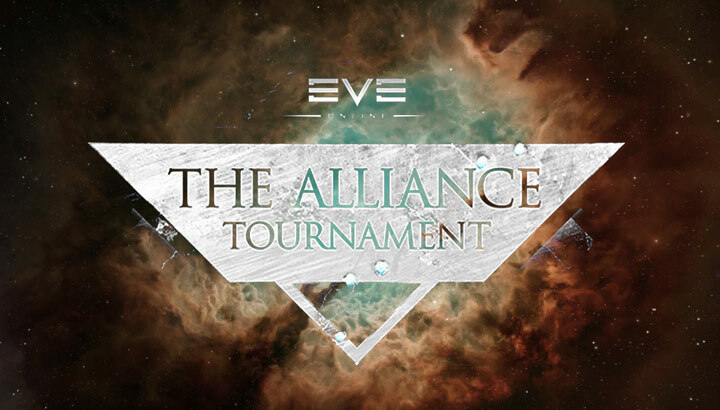 In this blog we want to go over the timeline of this year's Alliance Tournament, how your alliance can apply to take part, and last but not least…what the rules are be this year! 16 additional spots in the tournament will be available in a secret auction that opens as of this news item and closes on 2018-05-27 23:59 with the team signups. Minimum bid for the secret auction is 2500 PLEX, and bids are only accepted in increments of 250 PLEX. Initial bids are made via the signup form. In the event of tied bids, the bid submitted first will be accepted. Auction results will be announced on 2015-05-28. This year there will be an additional adjustment to the rules for the two series that take place on the final day of the tournament (August 18th): the best of three elimination bracket final series and the best of five grand final. For these two series, any time a team wins a match they will not be allowed to bring any of the ship types they fielded in that match for the rest of the series. The losing team in each match will be free to bring the ship types they lost with again if they wish. These restrictions reset at the end of each series (so the team that wins the elimination bracket final series will enter the grand finals with a clean slate and all their ships once again available for use). Does your site have a contact page? I抦 having trouble locating it but, I抎 like to shoot you an e-mail. I抳e got some suggestions for your blog you might be interested in hearing. Either way, great website and I look forward to seeing it develop over time. I do consider all the ideas you抳e introduced on your post. They are very convincing and will definitely work. Nonetheless, the posts are very brief for starters. May just you please lengthen them a bit from subsequent time? Thanks for the post. in the put up, we’d like work out more strategies in this regard, thanks for sharing. The good news is that there is a solution ?wildcard certificates. You can obtain SSL on as many subdomains as you want. I抎 must check with you here. Which isn抰 something I usually do! I get pleasure from studying a publish that can make individuals think. Also, thanks for permitting me to remark! Thanks for making the honest attempt to discuss this. I feel very strong approximately it and wish to read more. If it抯 OK, as you acquire more in depth knowledge, may you thoughts adding extra articles similar to this one with additional information? It could be extraordinarily useful and useful for me and my friends. You’re so awesome! I don’t believe I’ve truly read through anything like this before. So wonderful to discover someone with some genuine thoughts on this topic. This will be the appropriate weblog for really wants to check out this topic. You know much its virtually tricky to argue along with you (not that I personally would want匟aHa). You actually put a new spin using a topic thats been revealed for decades. Wonderful stuff, just wonderful! Whereas there is no question that marketing is over-reaching at best in order to sell a product, the question for any person suffering from this skin condition is this Is there a chance that this product will work for me? I am sure you抣l ask if a cellulite cream works if you are plagued by this skin problem. This is the most common question asked by cellulite sufferers when they are searching for the best reduction treatment to reduce the appearance of this skin problem or get rid of cellulite. One important thing is that when you抮e searching for a student loan you may find that you抣l want a cosigner. There are many scenarios where this is correct because you could find that you do not have a past credit score so the loan provider will require that you抳e got someone cosign the credit for you. Good post. Awesome site! You抳e some quite interesting posts.. Nice background as well haha. Keep up the nice work, Ill make sure to come across to see really your page! Spot on with this write-up, I really assume this website wants way more consideration. I抣l probably be once more to read far more, thanks for that info. Thank you, I have been searching for info about this subject for ages and yours is the best I抳e located so far. Really it is very useful post and that i choose to read these techniques and in addition I will be having a go and many thanks sharing such kind of techniques please ensure that it stays sharing. I don’t even understand how I stopped up here, but I assumed this submit used to be good. I don’t realize who you are however certainly you’re going to a well-known blogger when you aren’t already. Leave a Reply to Tulum transportation Click here to cancel reply.